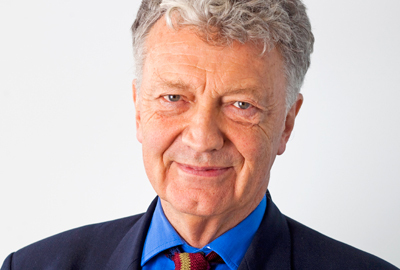 William Shawcross, chair of the Charity Commission, has said that new research showing continuing high public confidence in the sector suggests there is public appetite for stronger regulation of the sector. In response to the publication of Public Trust and Confidence in Charities, a report conducted by the polling firm Ipsos Mori on behalf of the regulator, Shawcross said that the sector must recognise "the challenges that lie ahead for us all". Asked how much people trusted charities on a scale of one to 10, the survey gave charities an average score of 6.7, the same as in the last edition of the report in 2012, and up from 6.6 in both 2010 and 2008. This makes charities more trusted than the commission itself, which at an average score of 6.1 enjoyed the same level of public faith as social services. The figures are at odds with a survey published earlier this week by the consultancy nfpSynergy, which said there had been a fall of 10 percentage points in the proportion of people who said they trusted charities. The Ipsos Mori report shows a huge increase in the proportion of people reporting that they, their friends or family have benefited from the work of a charity. This has risen steadily from 9 per cent in 2005’s survey to 40 per cent this year. The vast majority (96 per cent) of people agreed that "it is important that charities provide the public with information about how they spend their money", with nine out of 10 agreeing charities should publish an annual report to explain what they have achieved. Shawcross said he was "encouraged by the public's support for tougher regulation" as demonstrated by growing concerns about fundraising methods and other issues raised by the public. Sixty-six per cent of respondents to Ipsos Mori said that some fundraising methods used by charities made them uncomfortable, up from 60 per cent four years ago. However, only 2 per cent of respondents said they trusted particular charities or groups of charities less than other institutions as a result of believing they were "not well regulated". Sixty-eight per cent of respondents said that charities were effectively regulated, 20 per cent that they were not well regulated and only a fifth that regulation was "not at all" effective. Much of the report shows little change or only small change in overall public perceptions of the sector compared with the previous report. For example, concern that charities spend too much on salaries and administration was at 58 per cent, down slightly from 59 per cent last time. But it does suggest there are issues with charity independence and trust in charities that deliver public services. The proportion of people who said they trust charities to work independently fell from 68 per cent in 2010 to 62 per cent this year; the proportion of individuals who would be more confident in a charity providing a public service than other types of provider, which stood at one in four in 2012, is now one in five. Shawcross welcomed the top-line findings of the report but said charity trustees must pay attention to some points. They should "keep in mind how important it is to preserve public goodwill when they are faced with the challenge of raising funds", he said. Shawcross said: "It is no longer good enough to say that your charity makes a positive difference – the public wants to know that you are making the best possible impact, and that a reasonable proportion of donations are getting to the end cause." Sir Stephen Bubb, the chief executive of the charity leaders group Acevo, said the survey posed tough questions of the commission. "The commission needs to pull its socks up and become the effective regulator and supporter that our sector needs – and that the public demands," he said. Caron Bradshaw, chief executive of Charity Finance Group, agreed that the commission should not "swing too far" towards tougher enforcement. "Effective regulation isn’t all about appearing tough," she said.